Location: Construction Site on 11th street. There is a house down the street from me that has been doing some sort of remodel for at least 3 months. There is constantly a crew bringing materials in and out of the house and I have been keeping an eye on the dumpster at the curb, hoping some interesting finds make there way out there for me to snag! 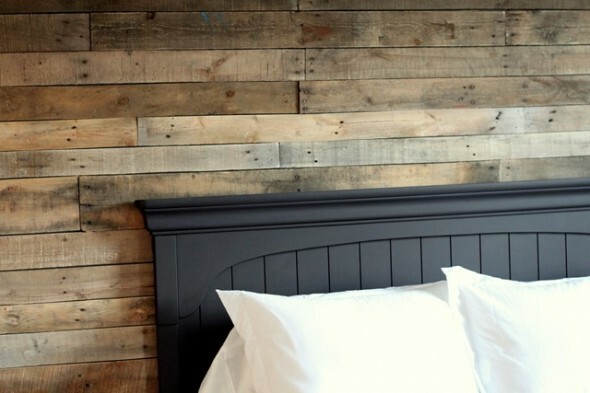 A few months ago I came across a DIY post (featured below) that used shipping pallets as paneling for an accent wall. The end result was so warm and interesting I made a mental note to incorporate that into my home one day. While out and about the other day I came across a lone pallet inside the fence of the construction site. I love the bright yellow strip of color on the pallet and it has the perfect about of distressing. I’m hoping that it makes its way into the dumpster soon and I can make myself something fun! In the meantime, here are some options for those lucky ones with shipping pallets lying around. This DIY is a dream project for me! I love the perfect weathering of the wood they have and the way the wood adds warmth and texture to their bedroom. They do a great job of explaining the process step-by-step, with care to explain any obstacles you might come across. I love the imperfections and character the wall has and cannot wait to try a project similar to this one. I love how this winery re-purposed their shipping materials and wine casks to make shelving in their tasting room. 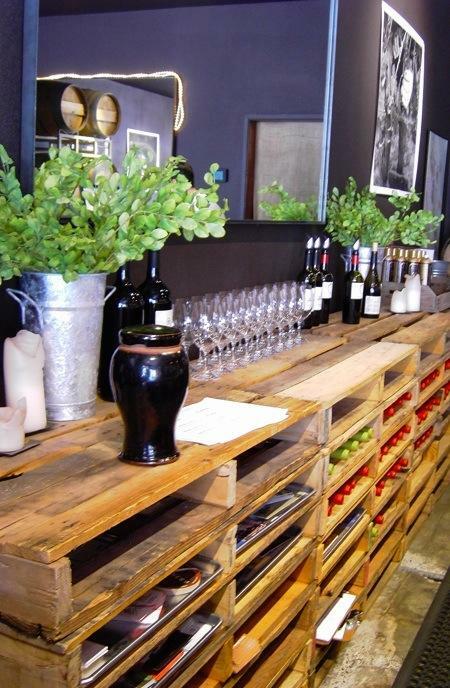 Stacked pallets, with a little stabilization, would make a great counter space and shelving unit. If you do not have/want a counter the depth of the pallet, there is always the option to cut down the pallet to the size you want and continue on as planned with the DIY. With a little creative woodworking and crafting you would be able to turn this into a great little bar/wine shelf! 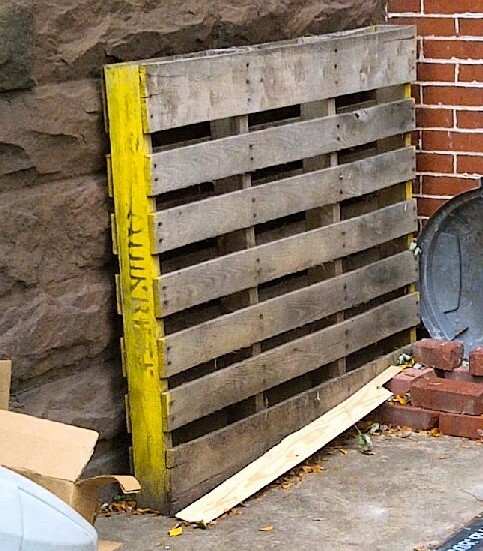 This is what I am hoping to do with my pallet. 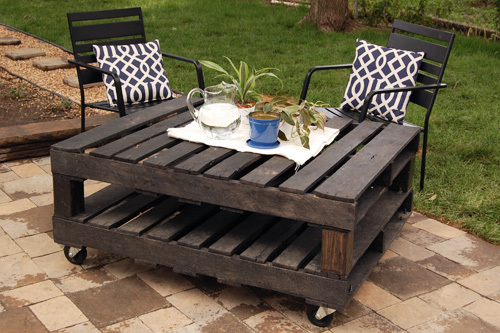 I love the idea of a rustic coffee table, especially with wheels! The natural wood would look great in my living room and the bright yellow stripe on the one I want (or added to any pallet) would make a great pop of color. Now that I live in a city, I am drawn to any and all urban gardening DIY’s. 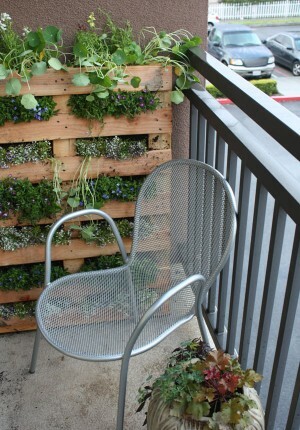 This would be a great project to add some green to any apartment patio! 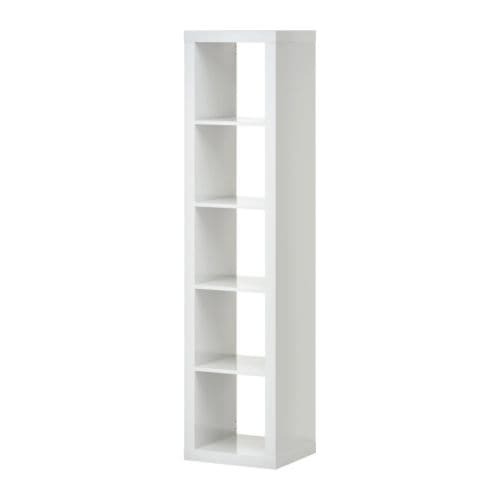 Think twice before throwing away that bookcase you don’t use anymore. Try repurposing it into a rolling media cart (or a clever room divider) by adding casters. All you need is an electric drill and this step-by-step guide. Here’s how!